Pay Per Click (PPC) derives from the method of charging for online advertising, where the advertiser pays not for the number of ads shown, but only pays when someone clicks on the ad and visits their website. The arrival of PPC shook up the advertising world as it fundamentally changed the emphasis from payment simply for showing adverts to a payment for results based model. Created by Overture and adopted by Google it has massively overtaken the previous online model of paying per thousand ads shown. PPC platforms usually work on an auction basis, with top placement going to the highest bidder (not entirely true with Google who also factor in the success rate of the ad itself as well as the amount the advertiser is willing to pay). The simple answer is that you would need to use PPC if you haven’t been able to achieve acceptable results using SEO. Perhaps your SEO hasn’t worked (yet) and you are filling in gaps in your online visibility until you achieve acceptable natural results (in some cases you may never manage to achieve this) for some search terms. An example of this is while a local solicitor may be able to achieve natural results for a phrase like ‘solicitor Richmond’ the online competition may be too much for a very high search volume broader search term like ‘solicitor’. They might not want (or be able) to compete UK wide for this phrase, but using PPC they could appear for it, but restrict the campaign to only show their ads to people within the geographical area they want to target. Of the tens of thousands typing in just ‘solicitor’ a percentage will be within their catchment area and this will be the only way to reach them. This may become even more important with the recent launch of Google Instant, which means many people searching may not get as far as the longer search terms in future. See a more detailed explanation of Google Instant and how it may affect SEO and PPC here. Or you may have good natural results but still improve sales by having a second presence on page one of the search results using PPC. This can have two benefits. Firstly it denies a place to one of your competitors if you are occupying it. Occupying two positions on the page also increases the chances of potential clients clicking on one of them and visiting your website, partly just a numbers game, but also seeing your company name twice on the results rather than once can inspire confidence and improve the percentage of your audience that you convert into visitors to your website. Another reason some companies may use PPC in preference to SEO, is if the search volumes are very low and the cost per click equally low, it may be cheaper to drive traffic this way than to spend time and money on SEO. When should I start a PPC campaign? You can start one at any stage, but it is especially appropriate when launching a new or revamped website. Partly because SEO is unlikely to be very effective fro day one and PPC can provide instant results. Many website owners launch straight into SEO and ignore PPC at the outset and then try PPC when SEO doesn’t produce the desired results. This is putting the cart before the horse. Without an initial trial PPC campaign there is usually no traffic for a new site till SEO is effective, so how do you determine what keywords to base that SEO strategy on? Usually the client will have an idea which keywords work in their industry and a tool like Google’s keyword tool can tell us how many searches the different keywords get and that will form the basis of most SEO campaigns. That’s fine up to a point. But search volume and guesswork is not the real measurement you should be using. The keywords you really want to focus your SEO on are the ones that produce the most sales (or more importantly, the most profit) and at this stage you don’t know what they are going to be. You can’t till you get traffic to your site for those keywords and you track and analyse their effectiveness. PPC allows you to do this for any keywords. Having then determined which are working best, you have a sound basis for your SEO strategy. There is no other effective way to achieve this. Where should I advertise, which PPC platforms should I use? All PPC is not the same, some relates to search marketing and some to advertising platforms where there is no search involved. So the first step in determining a PPC strategy is to look at the type of business, the products or services it sells and it’s target audience. These factors will help determine which PPC platforms will be most effective for the business and we would look at all these factors before recommending which platforms could work best for a particular business. Fore ‘search’ related platforms, the largest audience is currently the Google network. Market share of search is constantly changing, but it’s safe to say Google is currently market leader in UK search, with around 90% of searches taking place either on Google or one of its search partners. The two main competitors (or other routes to market) are Yahoo and Bing (Microsoft), who are currently in the process of combining their PPC platforms into one system in an attempt to win more market share of advertisers spend. Search marketing can be effective for both B2C and B2B campaigns. Social Media PPC platforms such as Linkedin work best for B2B campaigns, whilst Facebook is usually better suited to B2C, though there are always exceptions. Impossible to answer that here. Campaigns are different for every client. The amount of work in creating a campaign depends partly on the number of different keywords that could be producing business for you. The spend per click depends on the market price as determined by competition and the number of clicks you pay for depends on the demand for your products or services and the success of your message in attracting your audience to click on your ad. The cost elements are usually, set up of the campaign which will take X hours according to the complexity of your business/target market. Management of the campaign over a trial period (in most cases we recommend 4 weeks) and the budget for clicks which you pay to Google (assuming the trial is on Adwords, which is the usual starting point). Campaigns can be tailored to suit available budget and one of our most successful clients started a trial 5 years ago with a budget of just £10 per week. Does PPC work for every business? No of course not, in the same way that not every business can effectively monetise advertising on TV, radio, roadside or print. Success will depend on a number of factors, some of which are within the control of whoever is running the campaign for you, such as choosing the right keywords and finding an acceptable level of cost per click that allows you to make a profit. 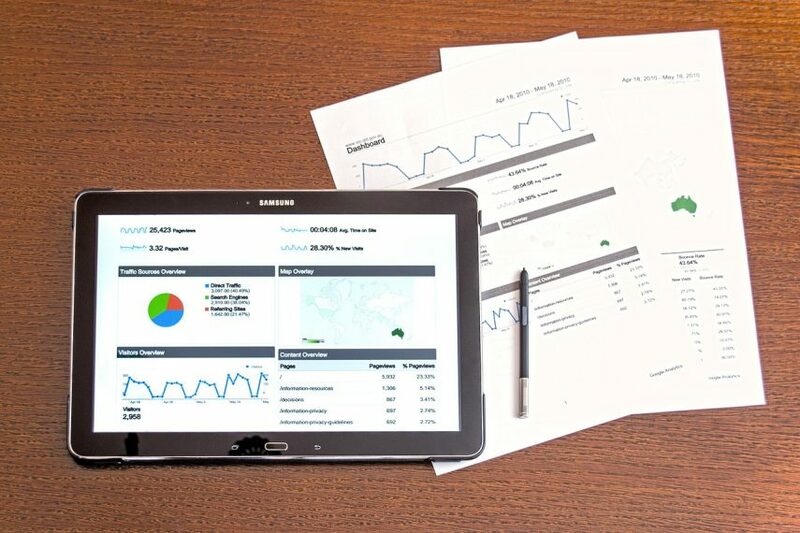 Other factors, such as how competitively priced your products or services are, what demand there is for them and how well you handle enquiries and convert them to business, all contribute to how well you convert visitors to your website into sales and monetise the interest your PPC campaign generates for you. It’s difficult in most cases to say with any certainty how well a campaign will work for any business as there are too many variables unique to each business to generalise. For that reason our advice is always to start with a trial campaign to establish as quickly and economically as possible if PPC will be a cost effective way of producing new business.